A really good use of a dead corner. 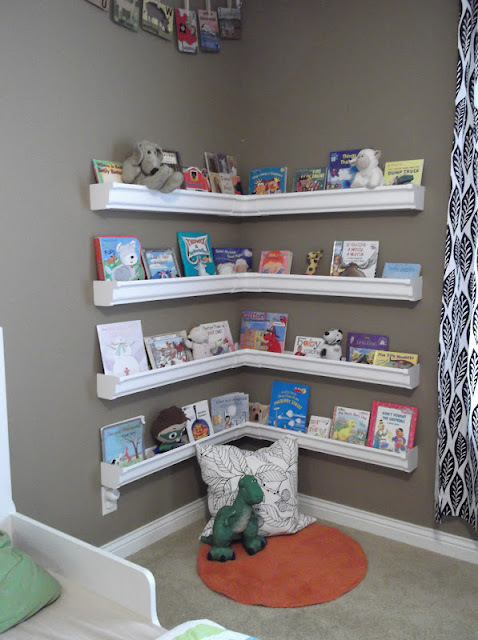 Believe it or not, these shelves are made out of vinyl rain gutters! Isn't this clever? 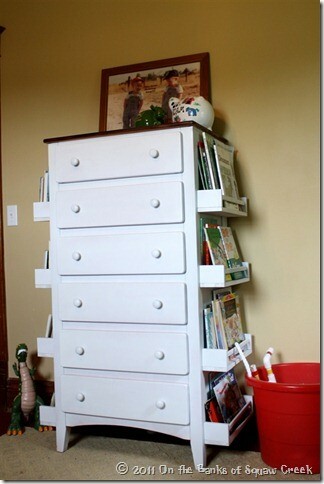 Great for small spaces, or if you like to rearrange your furniture a lot. No marks on the wall! See how she did it here. 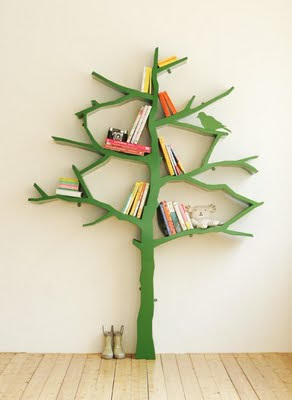 Who wouldn't want a book tree? And - I've saved the best for last - this fantastic idea that I'm totally going to copy for baby I's room. 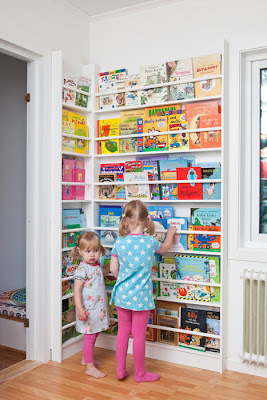 A library style drawer-turned-into-book storage! I love it! This way of displaying books is perfect for babies and toddlers, and this looks so much nicer than the Ikea boxes we have had in A's room. I'm so going to construct one of these, pictures will come! 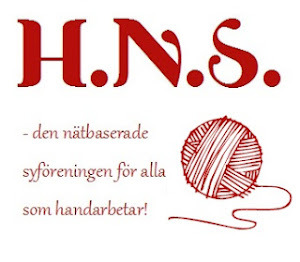 Summary in Swedish: Den här veckan delar jag med mig av bilder och idéer kring barnboksförvaring! Titta och inspireras! 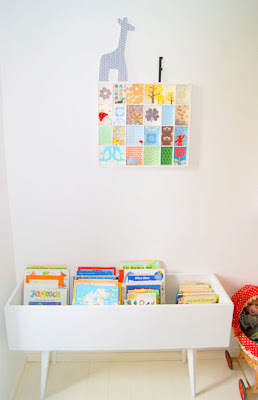 Följ mig på Pinterest här!